James Moffat has been penalised for his role in yesterday’s opening lap incident that saw Fabian Coulthard turned around in the middle of the field. A 15 second penalty for careless driving has been levied on the Garry Rogers Motorsport Holden driver, dropping him from 10th to 13th in the result. An investigation showed Moffat as the trigger of a multi-car concertina that eventually saw Coulthard spun. 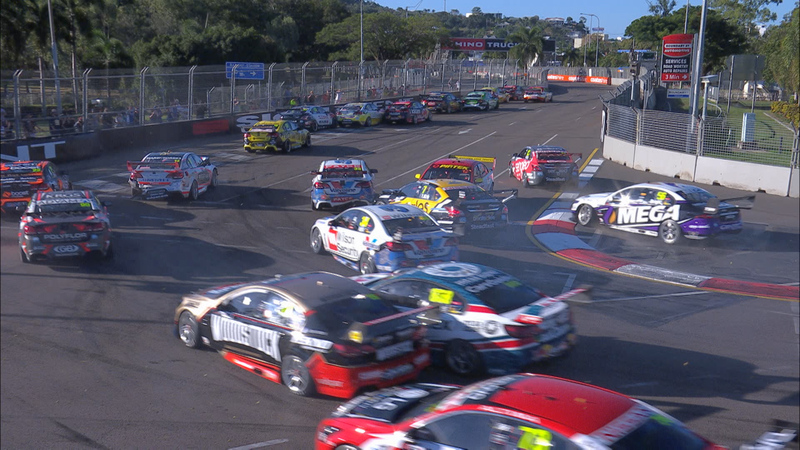 Moffat made contact with the back of Todd Kelly's Nissan, triggering a chain reaction that pushed Garth Tander into Tim Slade and then Slade into Coulthard. Coulthard, who entered the race as the championship leader, was lucky to escape major damage in subsequent hits from Kelly and Jason Bright as he spun. He rejoined to finish 11th, but is now elevated to 10th with Moffat’s penalty – reducing the deficit to new championship leader Scott McLaughlin from 68 to 62 points. Stewards also levied 25 second time penalties on Dale Wood and Michael Caruso for having their wheels spinning during pitstops in the 200km encounter. The penalties dropped Wood from 15th to 16th and Caruso from 14th to 15th.